This has been needed since 2003. Five years to write and typeset, One year at the printers. or write to Owen Guns 24 Mc Mahon Rd Gympie 4570. • Over 1000 drawings and photographs. • Over 530 pages in a A4 stitched colour hardback. 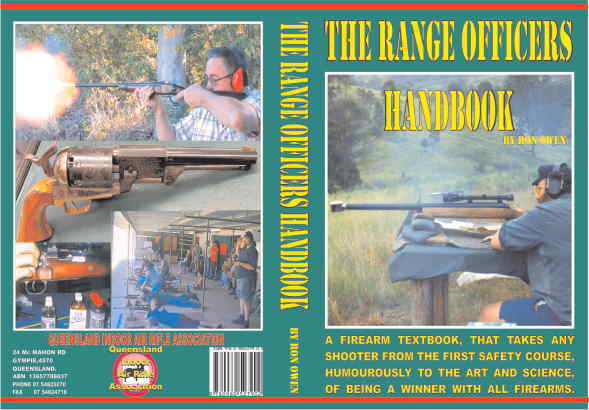 • The first three chapters of this book were published separately a few years ago and have been used for sometime as a training course and test for Range Officers by local shooting associations. Who is the Queensland Indoor Air Rifle Association? The Queensland Air Rifle Association was formed in the mid 1990s with the object to assist individual shooters and other shooting associations and clubs. It has carried that duty out by printing rule books, donating books to school libraries, raised money for club target frames, night lighting, prizes and trophies etc. In 2003 with the introduction of legislation that placed many new responsibility on club Range Officers, introducing compulsory membership, just to retain their ownership rights, forcing the veteran shooters into retirement, who were worn down by the incessant paperwork and fees. The veteran shooters are the ones who are the least able to cope with excessive fees and bureaucracy. The veterans are also the traditional range officers and knowledge banks of Australia’s Shooting Clubs they are the ones we can least afford to lose. That influx of new club members and age taking its toll on those who had shouldered the burden for many years, has caused a massive in-balance in the shooting clubs of Australia. At the beginning of the new millennium, in shooting with this massive inflow of shooters who have just done the compulsory Police safety certificate. 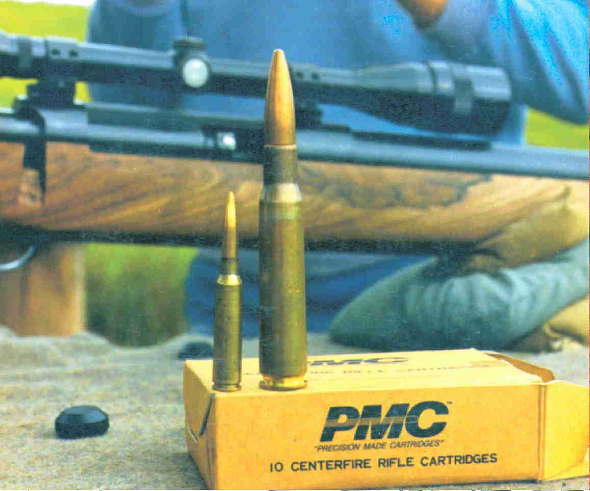 This test is designed to test the novice’s recollection of the Weapons Legislation and has little to offer them in the practical safety areas of range management, hunting and a lifetime of successful shooting. With the added legislative responsibilities being placed on Range Officers, the need to bridge the gap between the novice and expert Range Officers became more urgent as it has been a situation which has effected all shooting clubs. As placing a Range Officer badge on a person does not bring automatic respect and authority. Traditionally, the core of old timers, were respected as ‘Range Officers’ because they had that wealth of information, they answered those ten thousand questions with ease and showed the right things to do by a thousand unspoken examples. Australian shooters respect knowledge and hate blind subjection, the members of QIARA wanted to produce a single source book of shooting information to take the shooter of every subject field from the basic licencing required legislative course (safety in small letters) to be a fountain of shooting knowledge. In effect, by giving knowledge to encourage confidence and leadership in the shooting fraternity. The Range Officer has to understand many things and will also be looked at as a Coach, Instructor and Trainer a fountain of all knowledge not just the disciplinarian. Some, hopefully will read it cover to cover, others will pick a heading out of the Contents pages and read a chapter or two, but no matter how much you know about shooting, reference material is always needed, as even people who rate as genius cannot retain everything. The real ability is being able to find out quickly and easily. You can check that you have the correct terminology, in the Glossary, check the Index and go straight to the right page. This book can be used as an information tool for a lifetime of shooting. The author Ron Owen has been a firearm enthusiast since he realised the ones that Father Christmas brought him did not work, as they should. When he was eleven he joined a Field & Game Association and competed in small bore competitions. He modified and made parts for air rifles and guns in his Dads’ shed and in the school metalwork room. When he was twelve he joined the Army Cadets, shooting the Lee Enfield, .22 Training Rifles, Brens, Vickers. As he loved it he counted the days and signed up when he was still fourteen so he could join the British Regular Army, and have his fifteenth birthday the day before he went into the next intake. By the time he was eighteen, he had competed with the Regimental rifle team at Bisley and Pirbright and as a ‘Range Officer’ instructor trained soldiers from all armies of the Commonwealth. During those NCO training courses there he met Australians for the first time, so after receiving his discharge, by 1967 he was chasing Sambar deer around the Victorian Mountains. After a four years apprenticeship and night school he qualified as a Fitter-Turner Toolmaker but had found other uses for the machines and spare time in making parts for firearms. In 1975 he started ‘Owen Guns’ in a small Victorian town, he was a founding member and president of the Bonang Branch of the SSAA. In 1980 he relocated the business to Gympie in Queensland and in 1981 was one of the foundation members and president of the Gympie Branch SSAA until 1988 and assisted in the foundation of the new branches and shooting ranges at Tin Can Bay, Imbil and Kilkivan. Ron has shot many different disciplines on ranges in many different countries of the world, competed to AAA grade in National competitions and coached shooters who have competed in the Commonwealth Games and many other International Shooting matches. His insight into the human psychology, which either makes or breaks a shooter in any field is especially valued and is very well expressed within the 239 pages devoted to the chapter in this book on ‘Coaching to Win’. He is currently the Vice President of the Gympie Pistol Club, and the President of the Cooloola Range Complex Association Inc. Patron of the Gympie Smallbore & Silhouette Club and Vice President of the Firearm Designers Theamic Collectors Association Inc. He has served on management committees of shooting clubs in every capacity and has shot every species of Australian animals except crocodiles and koalas, he has medals for hunting and a fine Sambar trophy for his wall. He is the author of many articles and assisted in the publishing of the shooting magazine Lock Stock & Barrel. Owen Guns expanded to five retail shops and an importing and wholesaling distributorship prior to the John Howard Gun Law catastrophe, it has now contracted to a large retail shop with the facilities for firearm manufacture and repair. He is a Justice of the Peace and before retiring he served for four years as a Local Government Councillor. Having forty nine years experience in the shooting industry he was the ideal choice for the mission of writing this book.